COOKING WITH SOR JUANA. Alicia Gaspar de Alba's Blog. "If Aristotle had known how to cook, he would have written more." --Sor Juana Inés de la Cruz, "La Respuesta a Sor Filotea"
I am very proud to announce that I finished my 50,000 rough draft for a new book of fiction today. I called it "Calaveras in the Closet: Stories and Novellas." 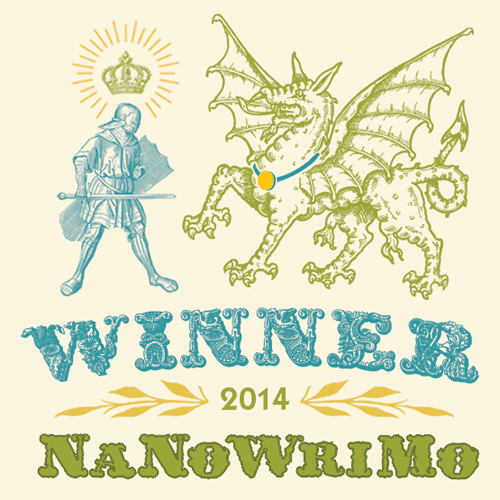 The exact word count was 52,945 words. All the characters I've ever created (and left behind) have banded together to form CACA, the Circle of Abandoned Characters Anonymous, a support group and 12-step program for those who need to air out their many abandonment issues, resentments, and unheard stories. There are 10 stories and 3 novellas, although when and if I ever revise the book, I'm going to chop off 4 of the stories, as these were just grist for the writer's mill, ways to get me started with the writing process this year without actually knowing where I was going. Between now and next summer, I will be thinking about these stories, these characters needing to be heard, and hopefully, the elves in my brain will work their magic while I burn the midnight oil at my academic job and figure out how to turn all of this into a viable collection, my second collection of short fiction. Bless me, oh gods of the Royal Blogsphere, it's been more than a year since my last blog. So many vestiges of my Catholic upbringing. Maybe that's why the concept of the "bad woman" intrigues me so much, because of that heavy Catholic/Christian/Patriarchal judgment placed on a woman's head, from Lilith and Eve down to all women, particularly those of us of the lesbian and/or feminist and/or queer persuasion. In fact, that's what my new book is all about. 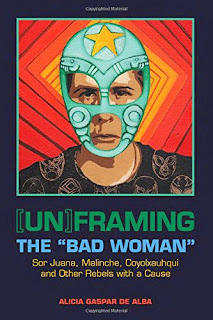 I realized I've been writing about "bad women," or at least women who were considered "bad" in their own lifetimes or who have become the scapegoats for all the bad stuff that has befallen our culture and our raza for the last 500 years--in both my fiction and my scholarship. I'm very proud of this collection of scholarly essays. You'll find pieces on Sor Juana, on la Malinche, on Chicana feminist artists and lesbian theorists, on the murdered girls and women of Juárez, as well as a rewriting of the Coyolxauhqui myth, and an opening letter to my paisana from the border, Gloria Anzaldúa, in gratitude for her lenguas de fuego. There are also 8 color plates and 37 black and white photos. 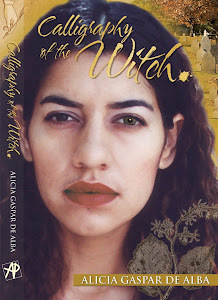 Artwork includes different images by Alma Lopez, beginning with that fabulous cover she created for the occasion of the book's publication, as well as pieces by Ester Hernández, Yreina Cervantez, Liliana Wilson, Patssi Valdez, Laura Aguilar, Deliliah Montoya, Alma Gómez-Frith, Miguel Gandert, Alfonso Cano, the "Saint Jerome" of Leonardo da Vinci, the iconic "American Progress, 1872" by John Gast, and a painting of Juana Inés by my very own mother, Teyali Falcón that she created for the publication of Sor Juana's Second Dream. I'll be doing my first book talk and signing in Albuquerque on my birthday, July 29, at BookWorks, and a month later, another event at BookWoman in Austin, Texas, if anybody's interested in coming out to support the work. 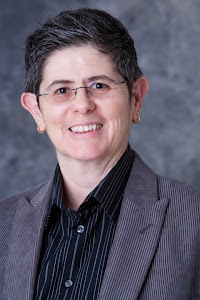 A special shout-out to the University of Texas Press, and my (now retired) editor, Theresa May, for always producing such beautiful books and helping to grow the library of Chicana feminist lesbian scholarship. You can order the book directly (and at a 33% discount) through U.T. Press, or go to my website to order it through Amazon.com. If you'd like for me to come and speak about the book at your university, send me an email. Find out what happened to Concepción after she ran away from the convent of San Jerónimo in Mexico City, got captured by Lorencillo, and transported to New England on a pirate's ship. This riveting historical novel combines the horror of the Salem witch trials with the philosophy and poetry of the nun and writer known as the first feminist of the Americas, Sor Juana Ines de la Cruz. This novel takes a look at women in the New World in the 17th century and the stubborn men who accuse them for no reason. Click on the book cover above to view the book trailer. Click the titles to order one or all of my books. 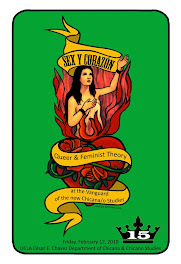 Our Lady of Controversy: Alma Lopez's "Irreverent Apparition"
Queer & Feminist Theory at the Vanguard of the New Chicana/o Studies, Friday, Feb. 12, 2010. Click to register online.